This oil on canvas painting was created by Henry (Hy) Hintermeister for a 1936 Brown and Bigelow calendar. 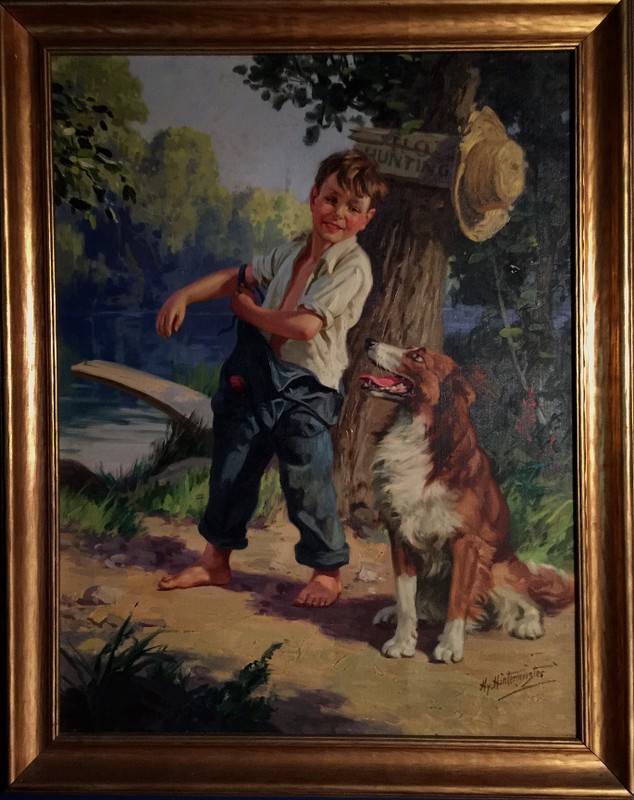 As with many of Hintermeister's calendar illustrations, this painting was created to be used in a series with other illustrations, depicting the same boy with his dog. This young boy and his best friend are about to take a swim in a favorite swimming hole on a warm summer's day.